Darline Haub Estate Absolute Auction — Harritt Group, Inc. Selling absolute to the highest bidder a small quaint cottage in the heart of Palmyra located 15 miles from I-64 just off Hwy. 150. Also selling furniture, antiques, collectibles, tools, 12’x20’ carport and more. 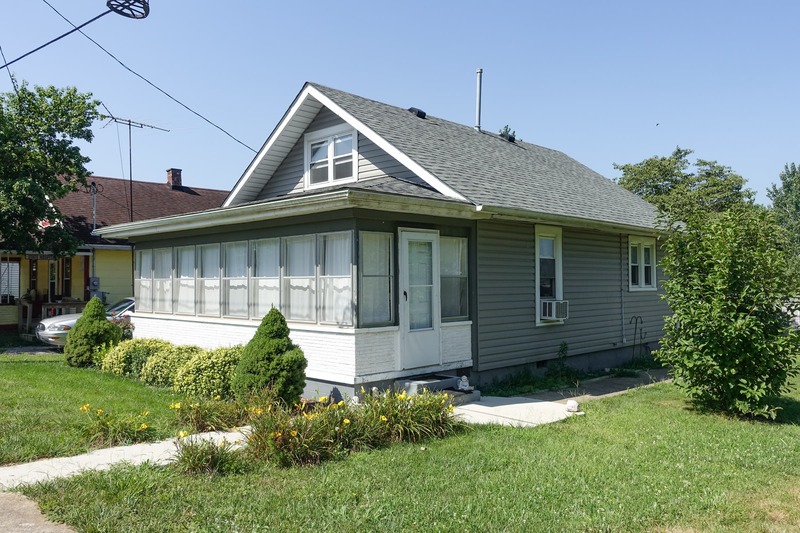 Charming 1 1/2 story two bedroom – one bath 966 square foot vinyl sided cottage built in 1950 with 8’x23’ enclosed porch, covered wood deck, replacement windows, gas heat, cellar utility basement plus detached utility shed on 50′ x 130′ lot. This home features eat in kitchen, laundry room, one bedroom and full bath on first floor plus one bedroom up. A great buying opportunity selling absolute to the highest bidder without reserve. Dinette set, backers rack, sofa, (2) cloth recliners, coffee and end table set, china hutch, double wide curio cabinet, futon, patio furniture, office furniture and a full size bed. Carnival, milk and depression glass, dozens of figurines, blown glass ring holder, large selection of costume jewelry, jewelry boxes, framed art, eagle brass oil can, retro cookbooks, 1945 farmer almanac and large selection of glassware. Snapper push mower, Murray 22” cut push mower, aluminum ladder, gas cans, selection of yard, hand and power tools, extension cords, dolly and contents of storage shed. Heat Smart electric heater, card table and chairs, christmas decor, clothes rack, luggage, plastic organizing shelves, small kitchen appliances, tupperware, pots and pans, kitchen utensils, new fire pit and more. I-64 to Hwy. 150 Greenville Exit 119. West 15 miles to left at 4-way stop on Greene Street. South .3 miles to auction on right.